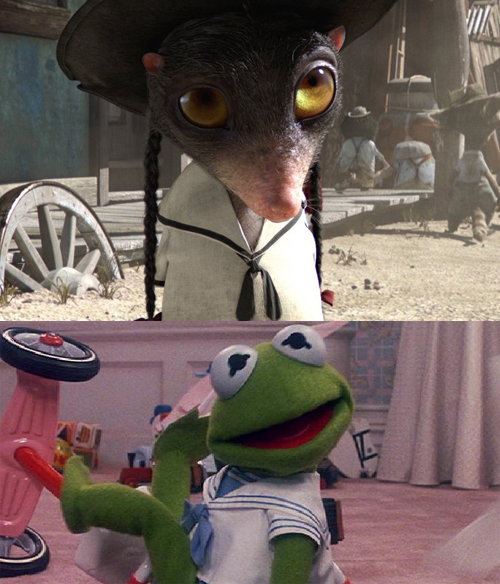 Did anyone else notice that Priscilla (Abigail Breslin) from Rango is wearing the same outfit that Kermit wore in Muppet Babies? I always wondered why Nanny dressed Kermit like a sailor. With wardrobe choices like that, it's no wonder why Kermit chose to embrace the nudist lifestyle later in life.